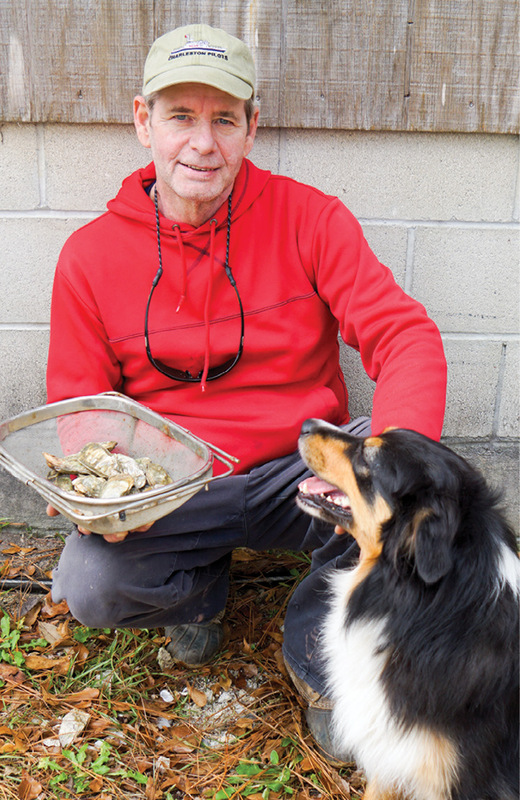 “Clammer Dave” Belanger (left) could just as well go by “Oysterman Dave” but the nickname stuck. 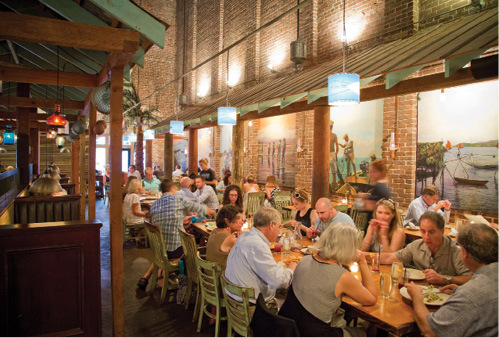 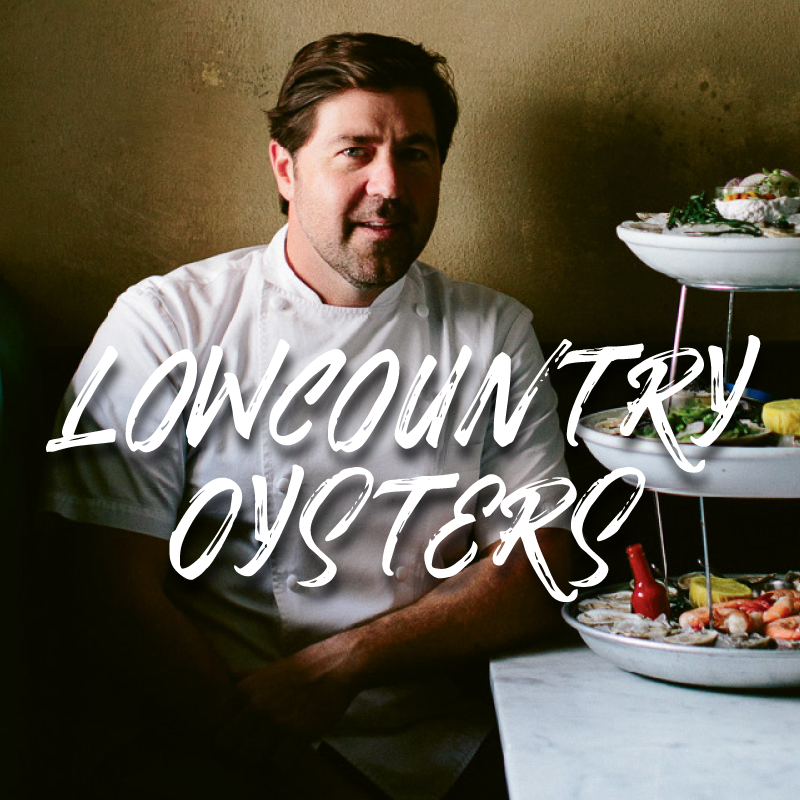 His Caper’s Blades were the first local boutique singles to hit Charleston’s fine-dining tables. 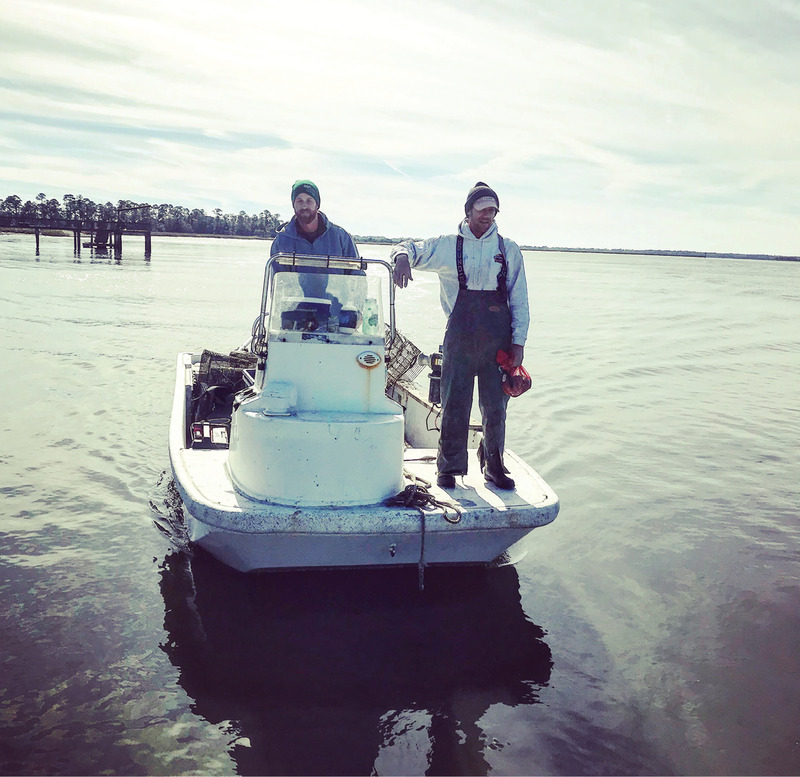 Each morning Belanger and his assistants don wet suits (right) and launch from Garris Landing to head out to their lease behind Dewees Island to plant shell and harvest both oysters and clams. 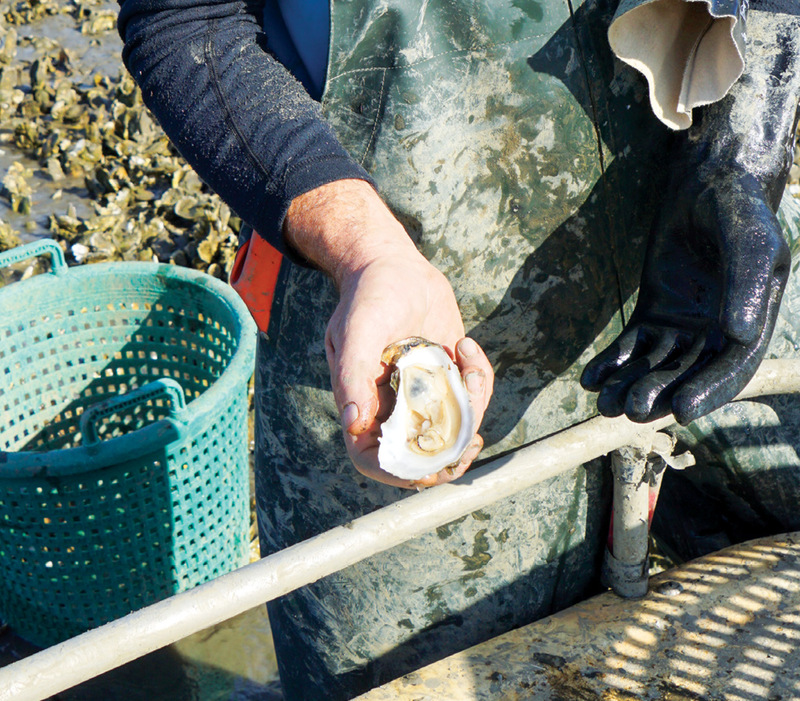 After the day’s harvest, oysters are pressure washed and chiseled, or “sculpted” as Belanger likes to say, before being individually weighed and sorted (below) at Belanger’s processing center in McLellanville. 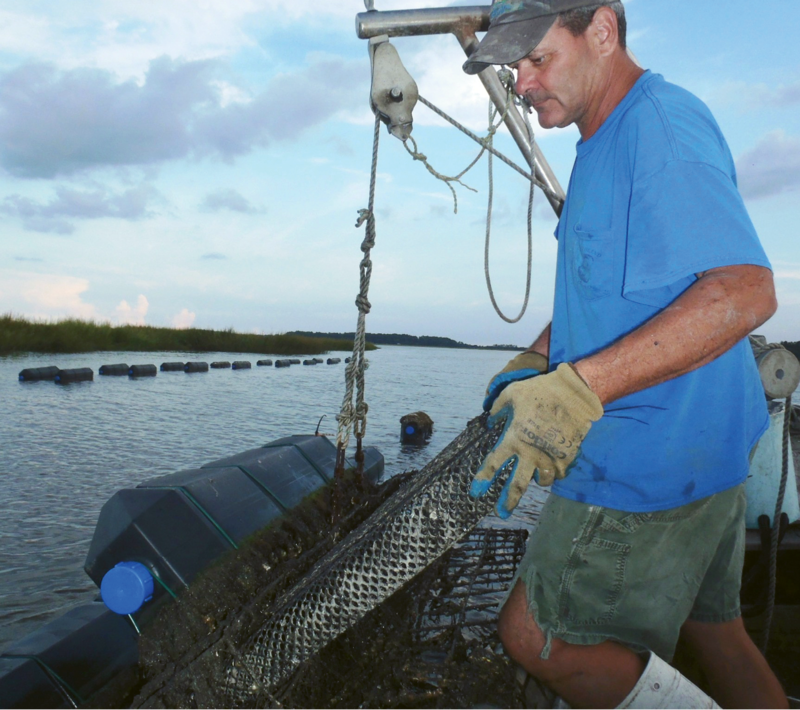 An alternate approach is to “farm” oysters by growing them in floating cages, which gives local beds time to rebound. 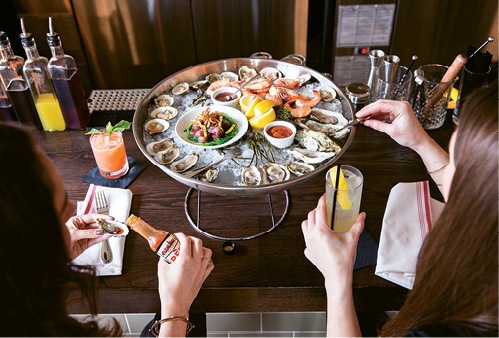 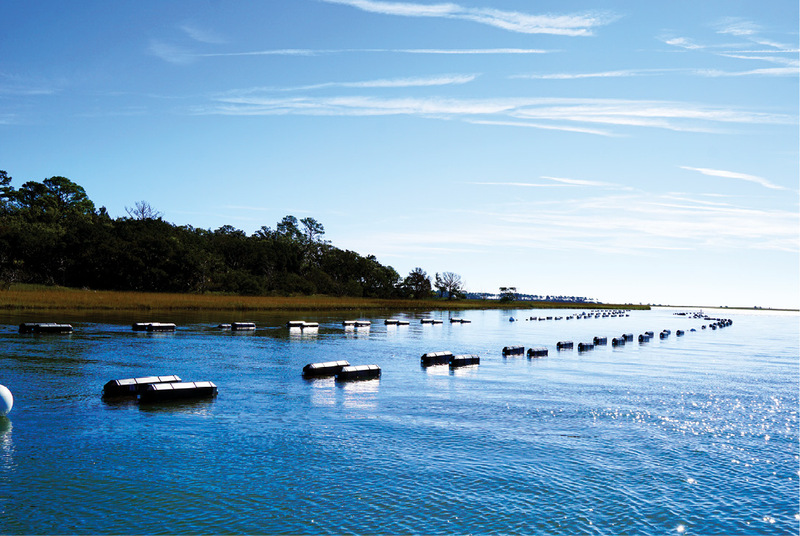 Operating near Botany Bay, the Barrier Island Oyster Company (at right, second and third photos from the top) debuted its Sea Cloud singles to local restaurants last year. 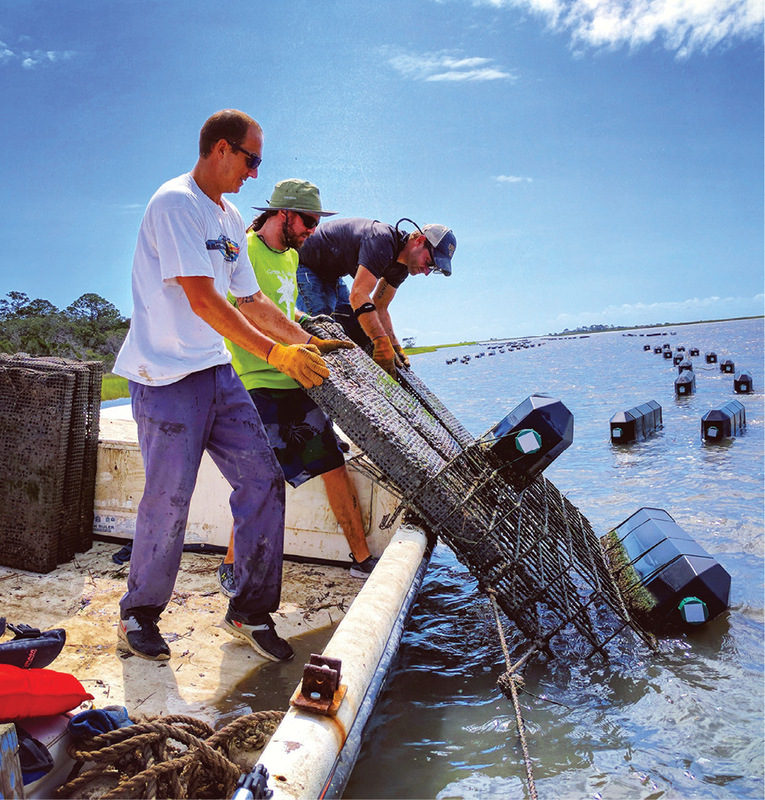 The young team at Barrier Island Oyster Co. hoists floating cages to harvest pearly white Sea Cloud singles. 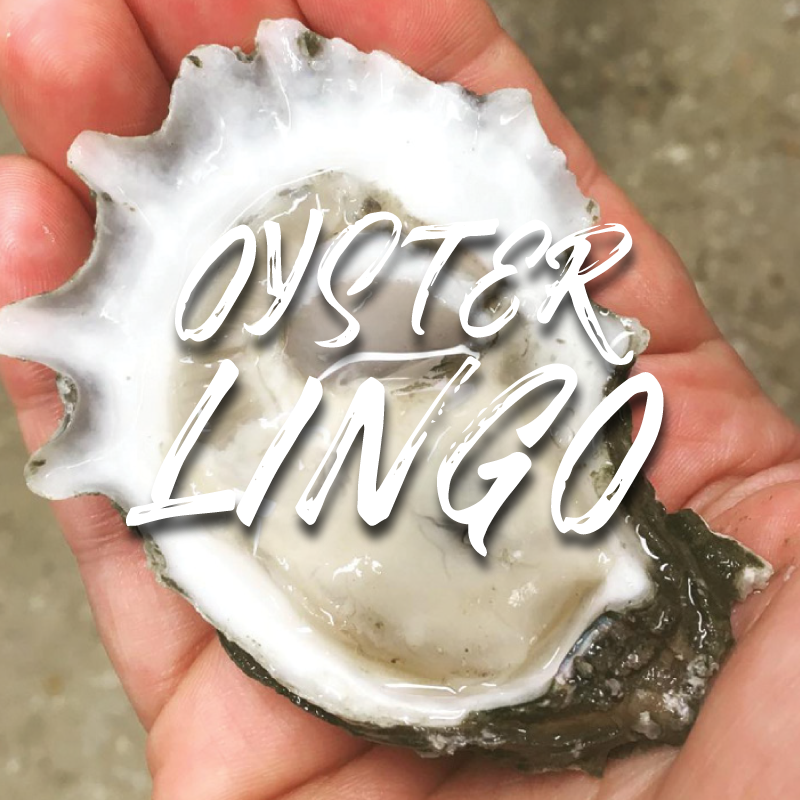 The name refers to a nearby historic plantation as well as the pristine color of its shell. 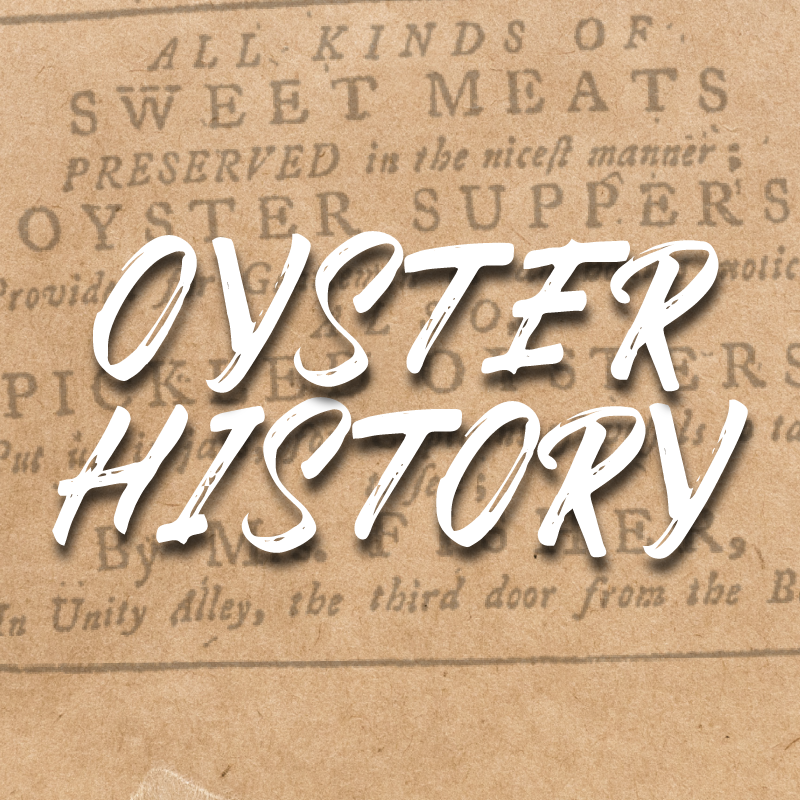 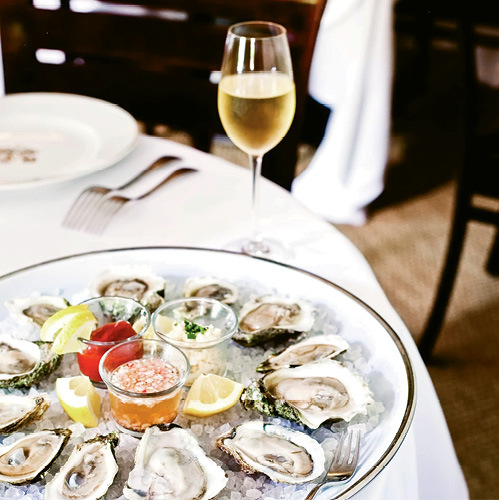 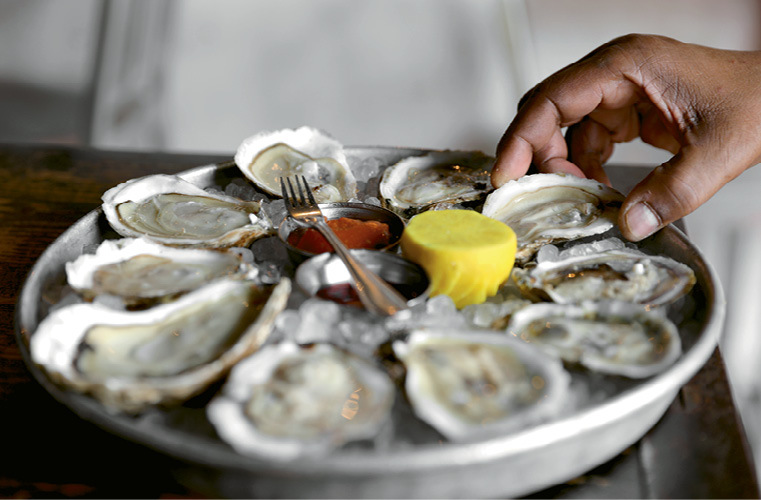 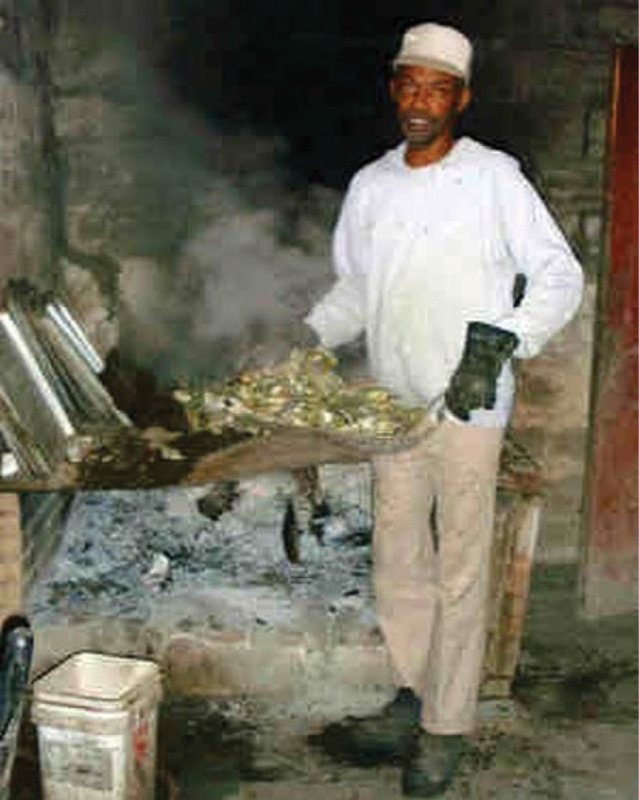 Dedicated oyster cook Henry Gilliard stoked fires and roasted clusters in Bowen’s special Oyster Room from 1995 to 2011. 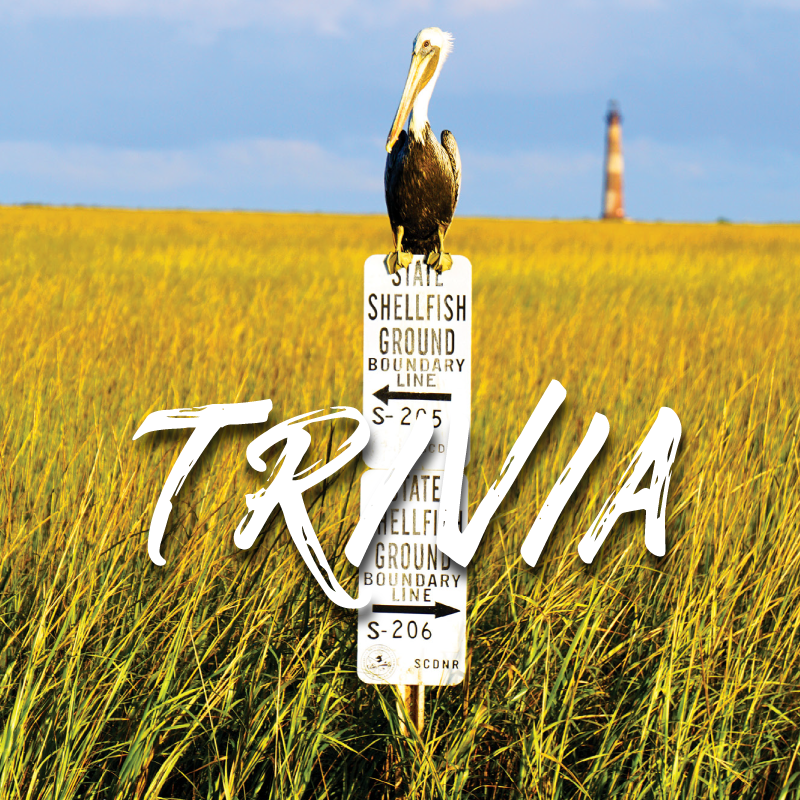 Known for his sense of humor, he was a crowd favorite. 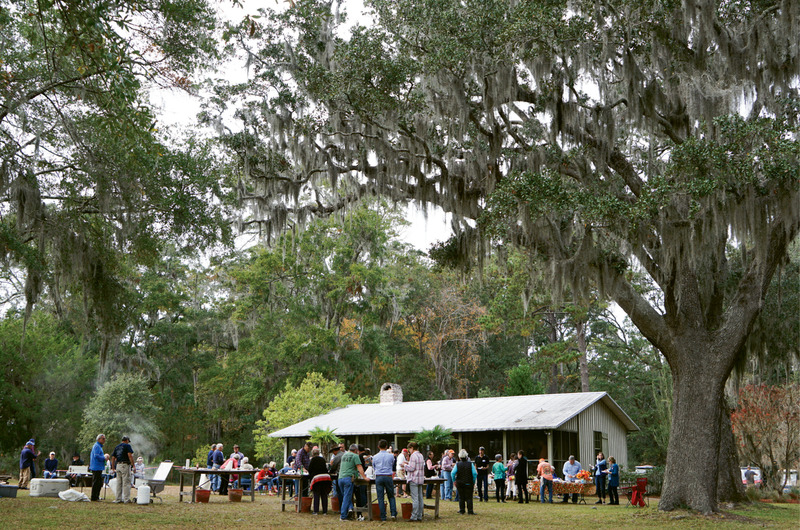 Gilliard died in 2013. 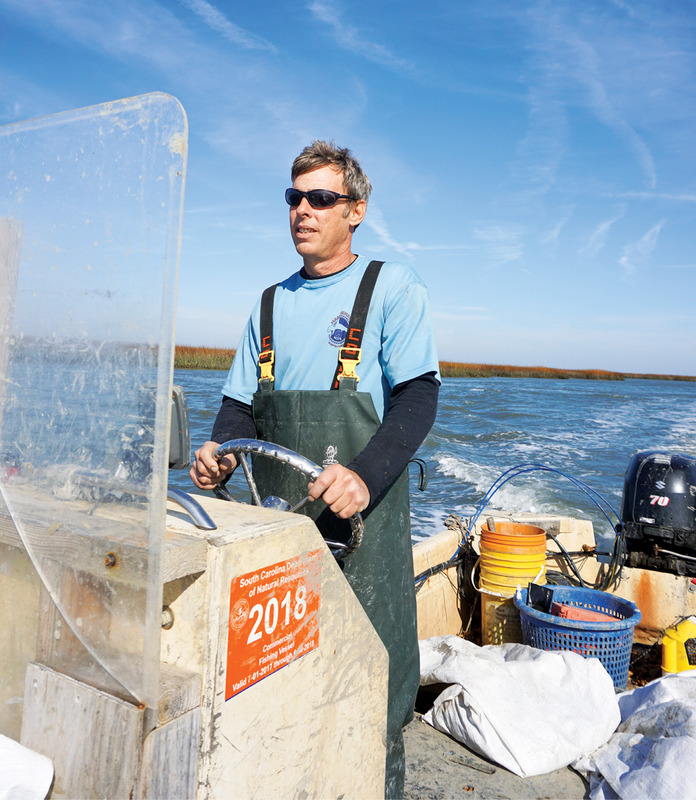 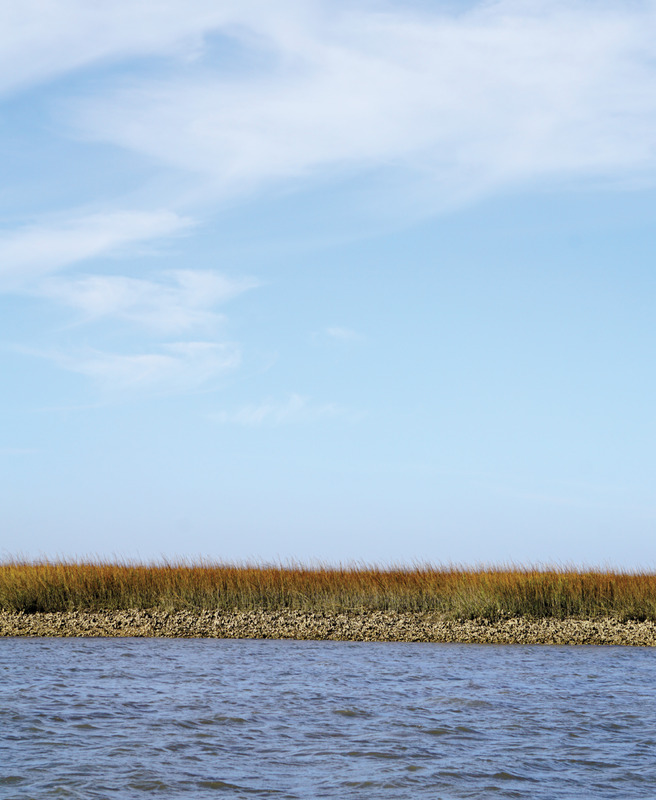 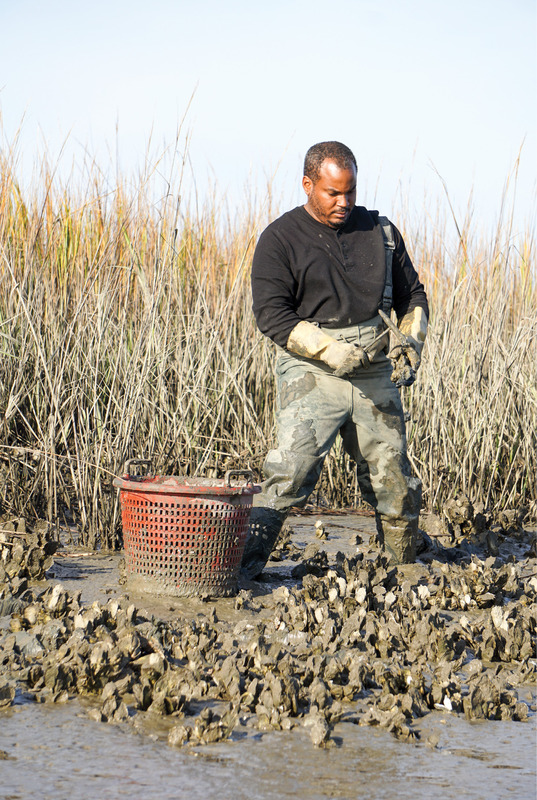 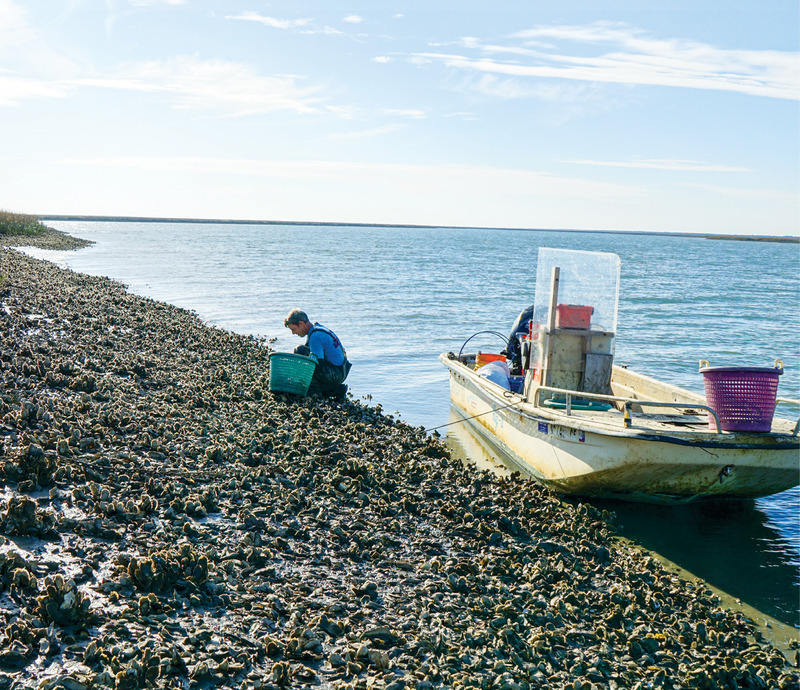 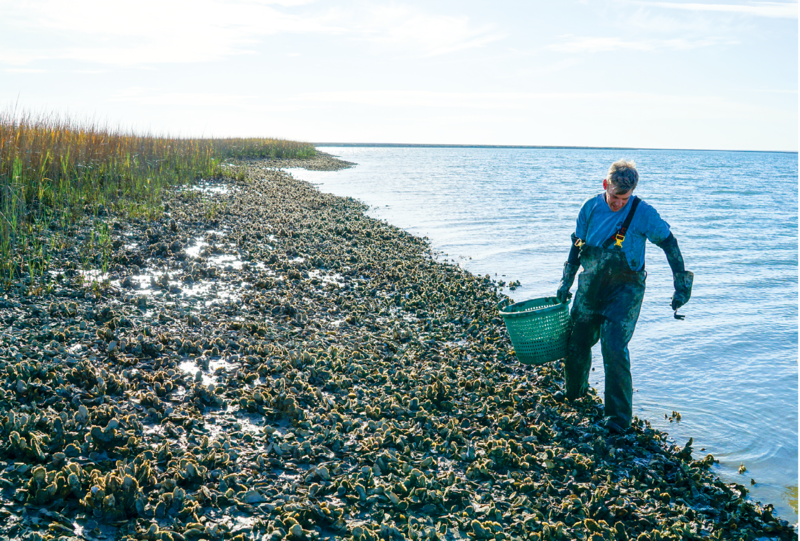  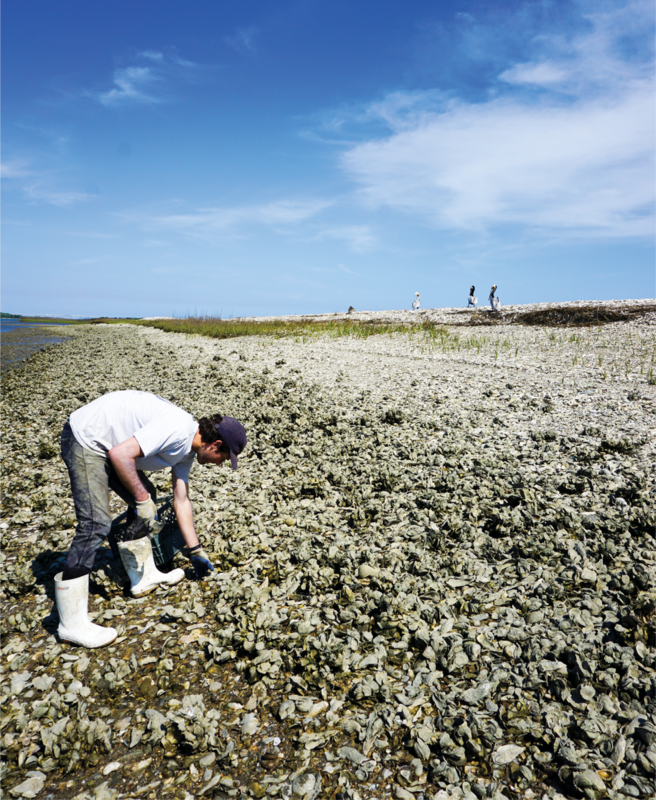 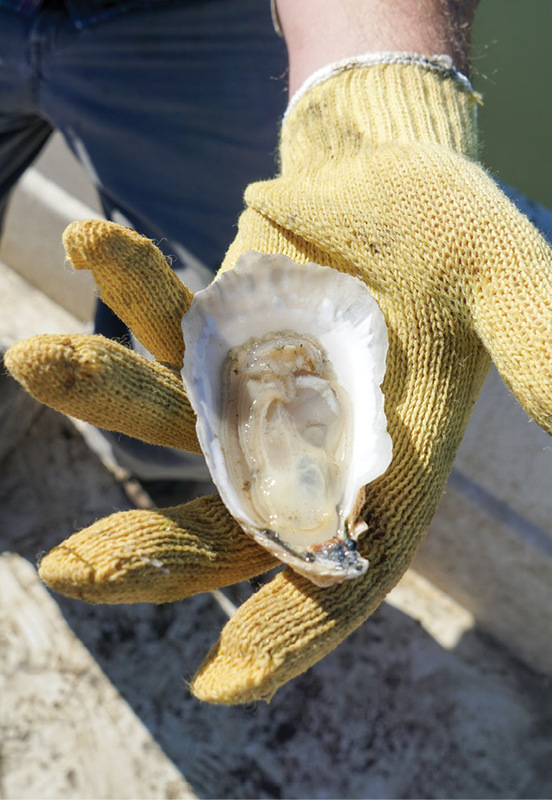 In the Cape Romain National Wildlife Refuge, Jeff Spahr of Charleston Oyster Company cultivates his oyster beds within 950 acres of leased marshland just off Bulls Bay. 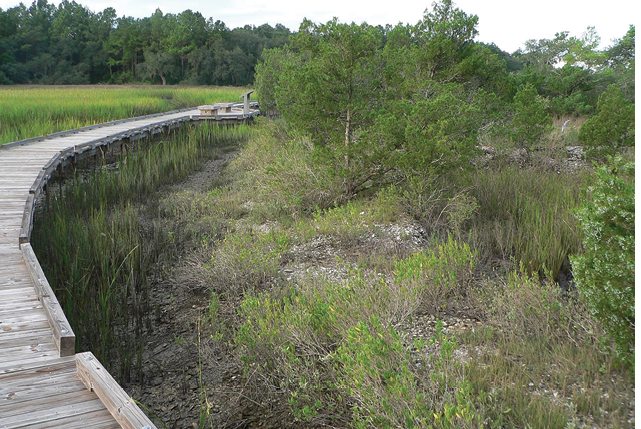 Through careful selection, his beds are thriving (top right and bottom right). 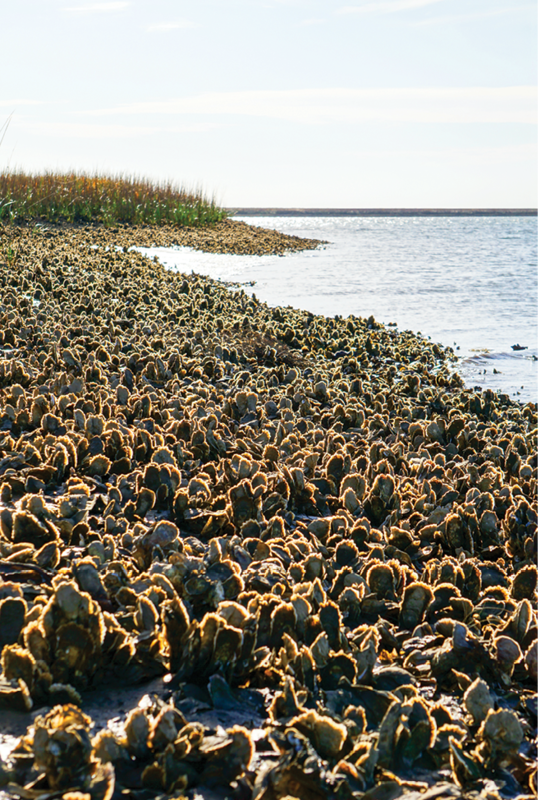 Each day the clusters reappear and disappear with falling and rising tides. 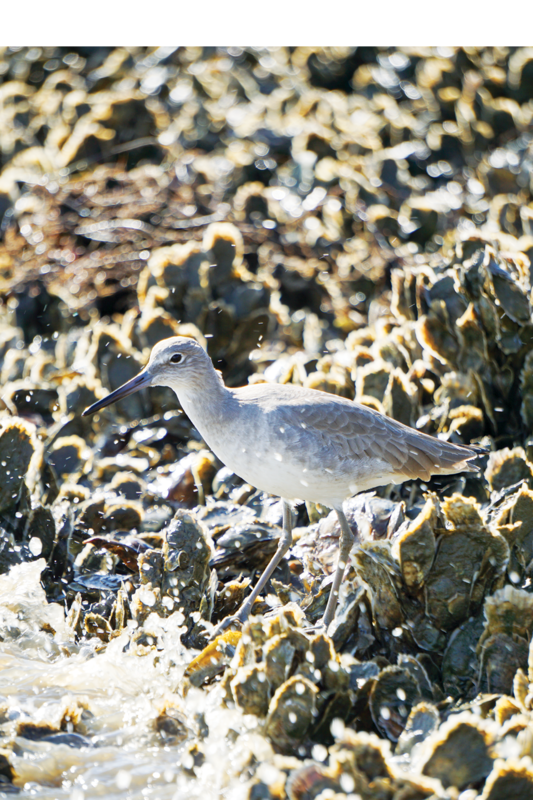 A scavenging willet stays close by, hoping for scraps. 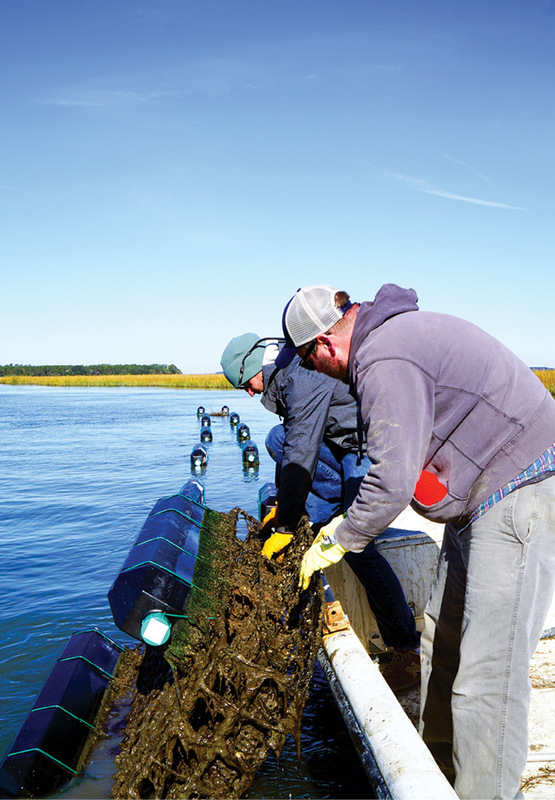 Frank Roberts of Lady’s Island Oyster launched South Carolina’s first and only oyster hatchery (above left); in addition to growing his own singles in the deliciously high salinity of Beaufort’s tidal estuaries, he supplies growers up and down the coast with baby oyster seed. 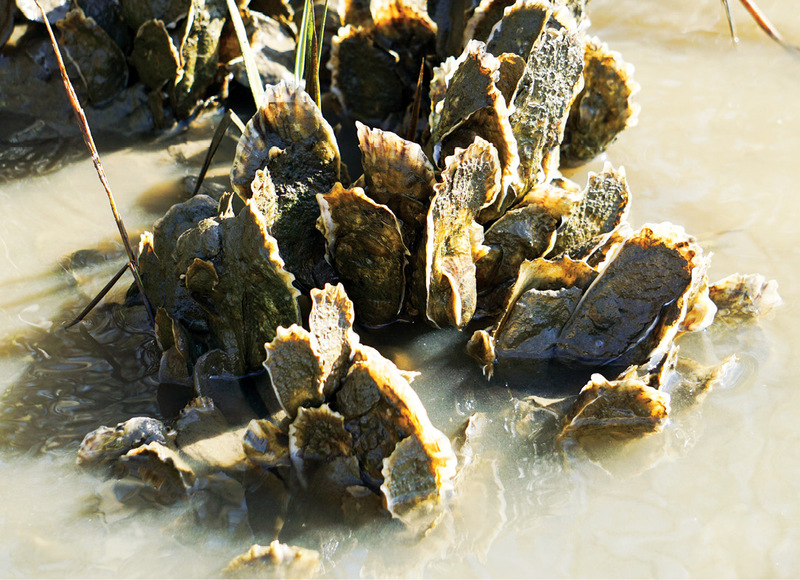 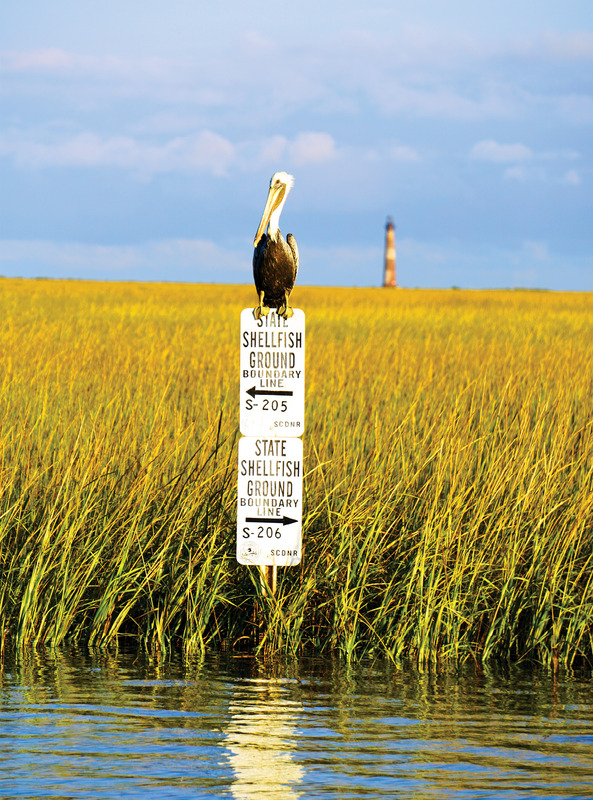 All oyster leases are protected, monitored, and managed by the state’s Department of Natural Resources and are marked accordingly. 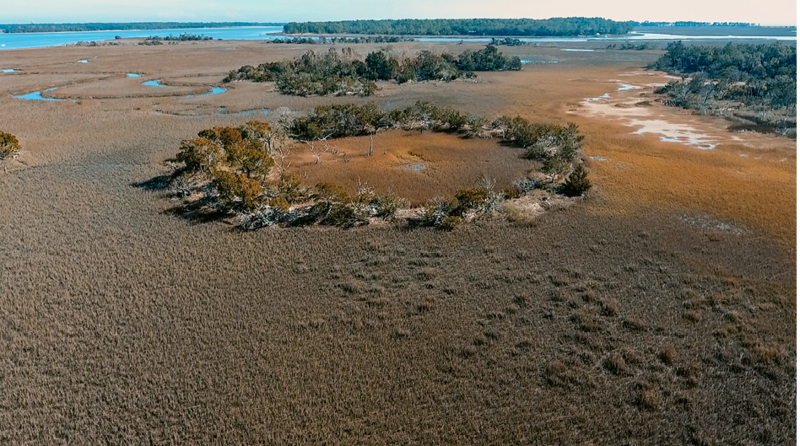 An aerial view of Fig Island near Botany Bay; archaeologists have studied and mapped its shell rings, which are carbon dated to some 4,000 years and contain shells and animal bones discarded by early inhabitants. 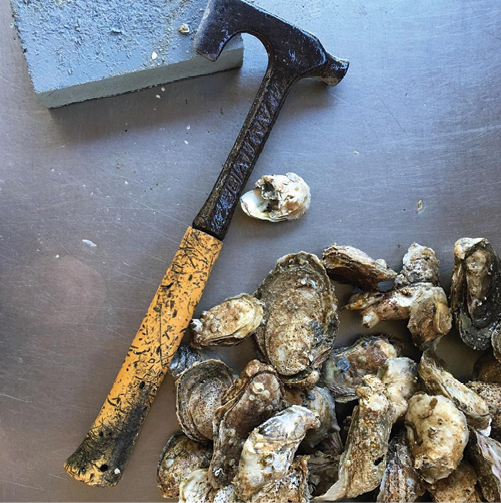 Oysterman Jamie White harvests for Bowen’s Island Restaurant the old-school way—chiseling clusters apart with a welding hammer. 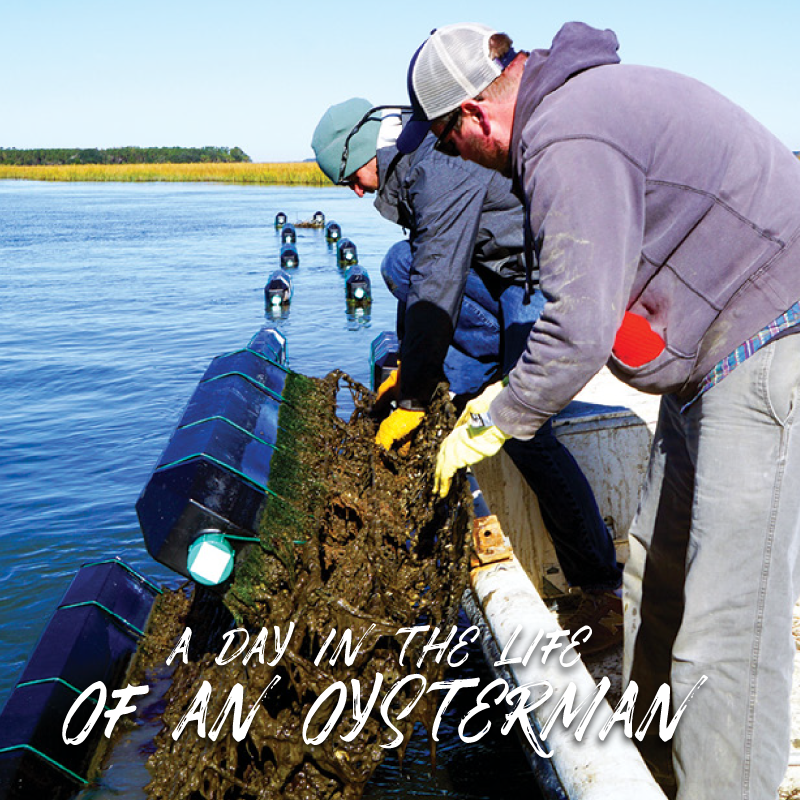 Jeff Spahr and his harvesting team could easily pick 40 bushels of oysters per day, but they typically stop at 10 to 20 bushels in order to keep their beds healthy. 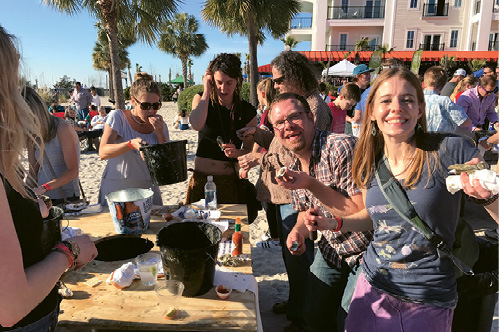 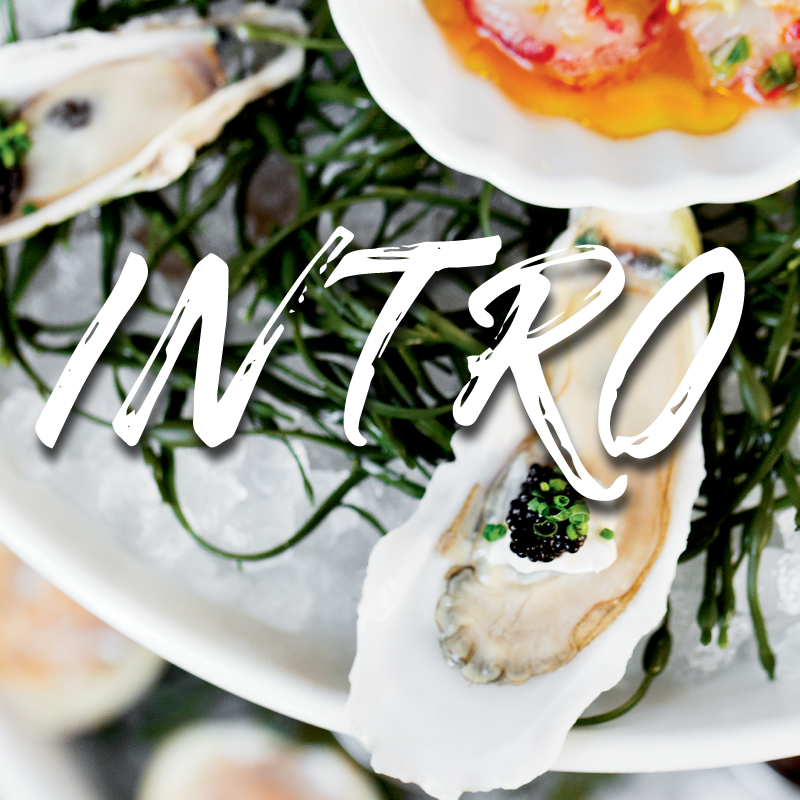 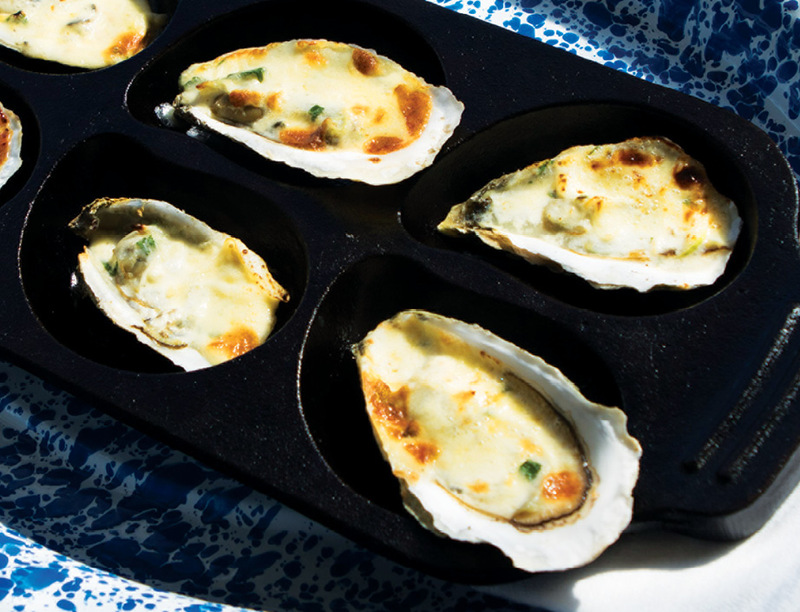 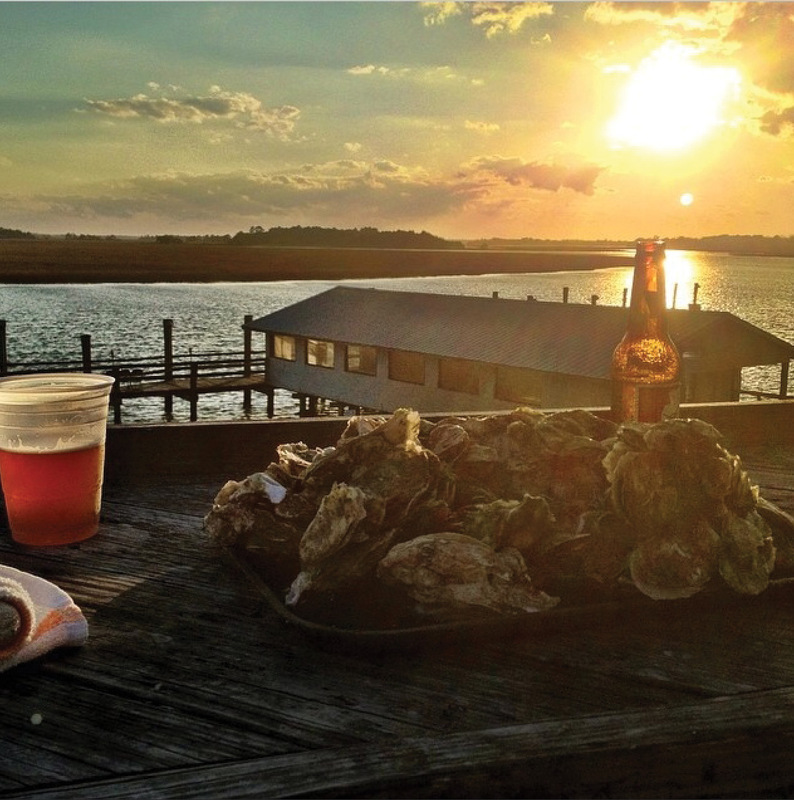 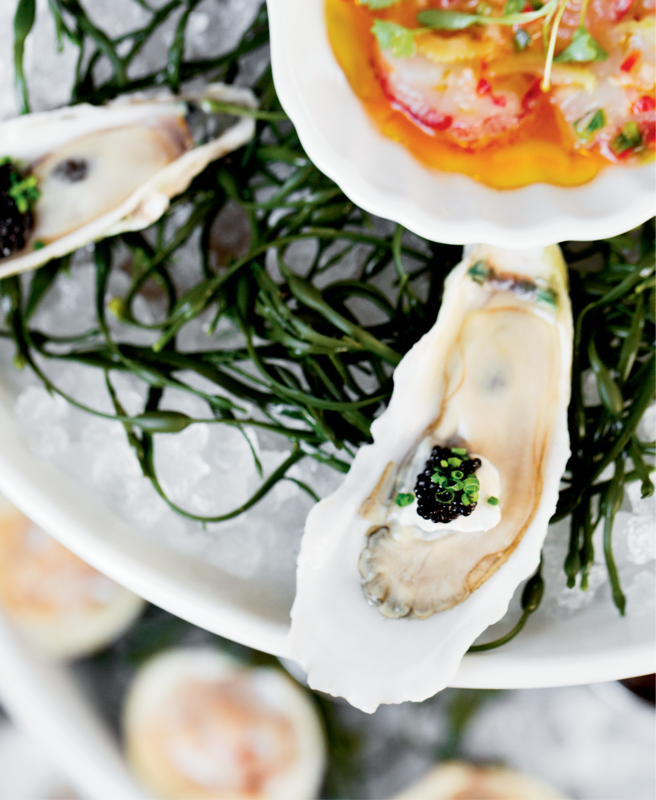 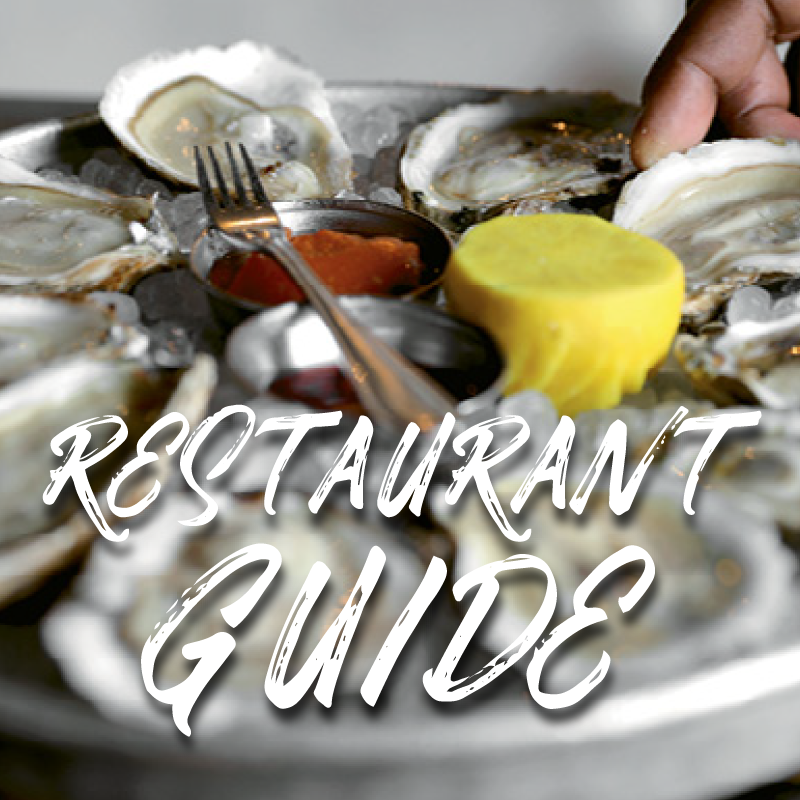 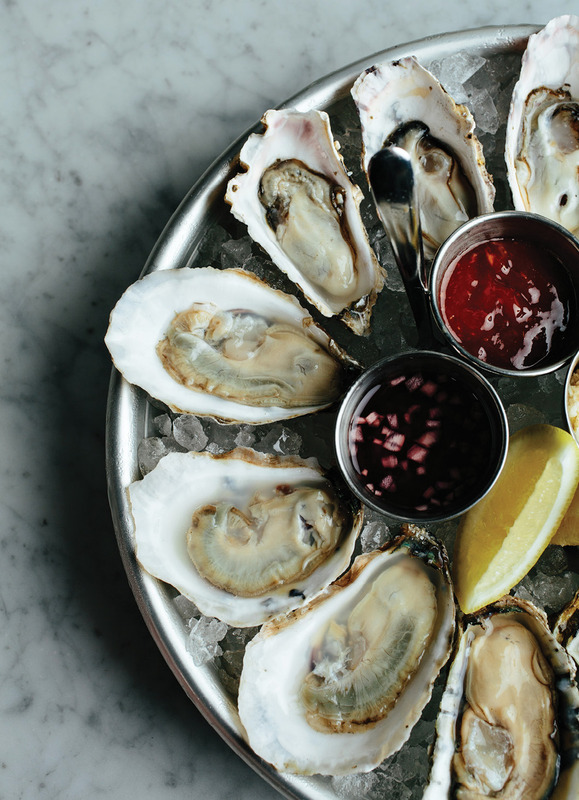 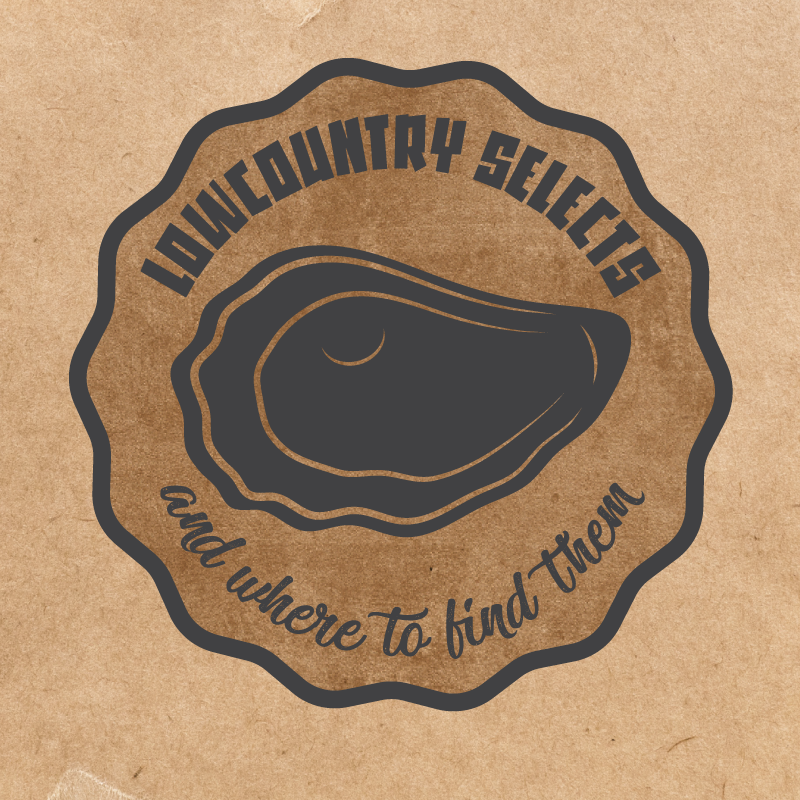 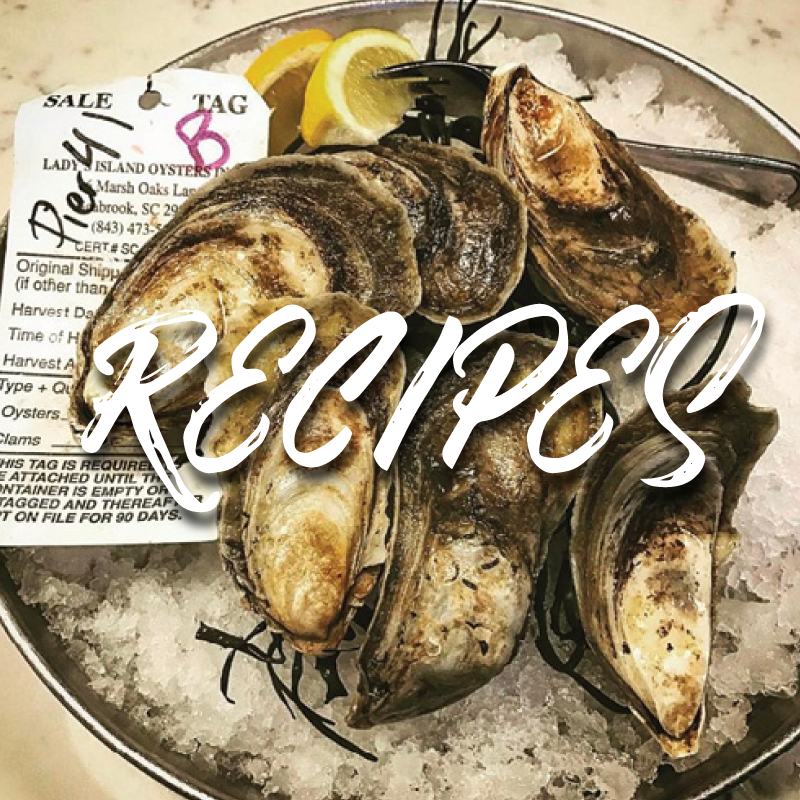 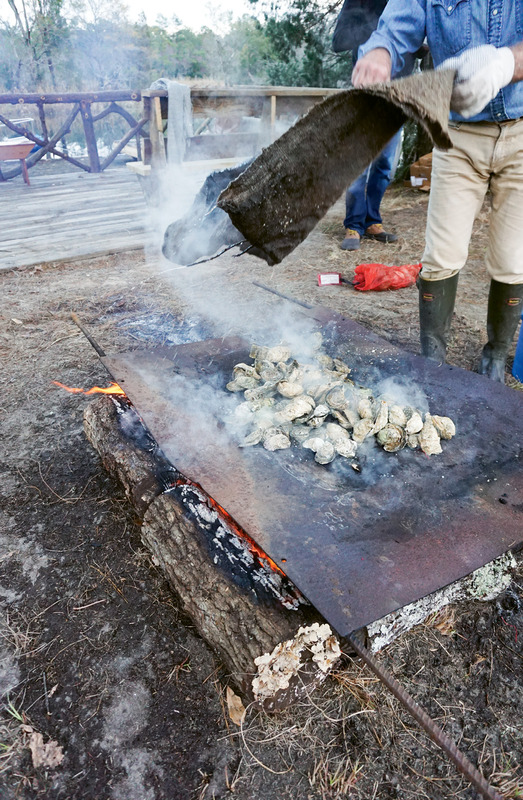 Lowcountry oyster roasts are synonymous with chilly weather, partly because it’s fun to bundle up and congregate outdoors by an open fire, but also because wild oysters simply taste their best in winter. 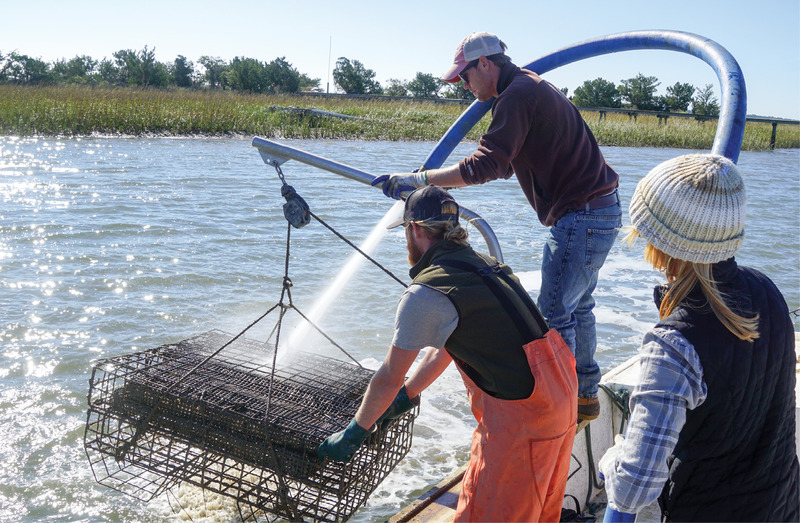 Charleston Oyster Farm’s Peter and Thomas Bierce and Caitlyn Mayer blast the cages of their oyster singles with water straight from the Stono River. 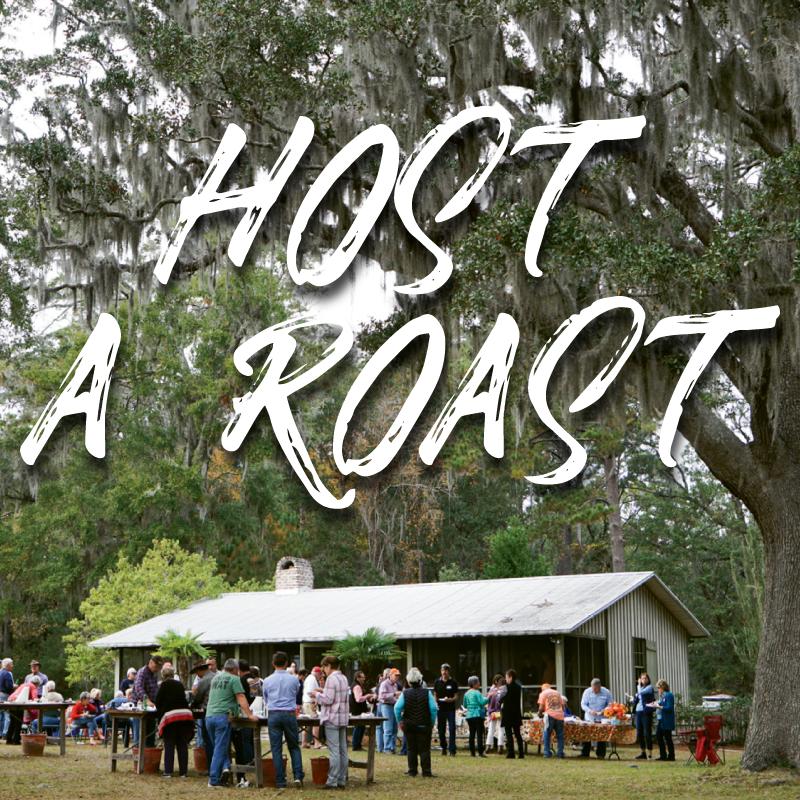 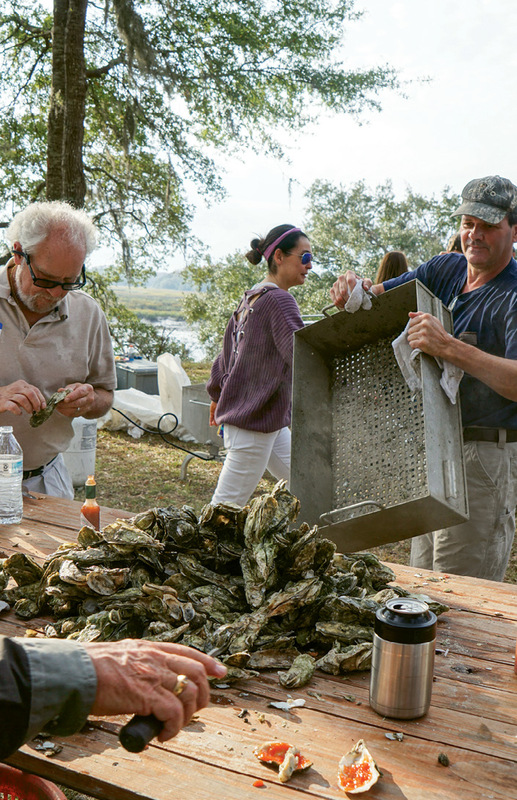 Bull Point Plantation oyster roast in Seabrook, South Carolina. 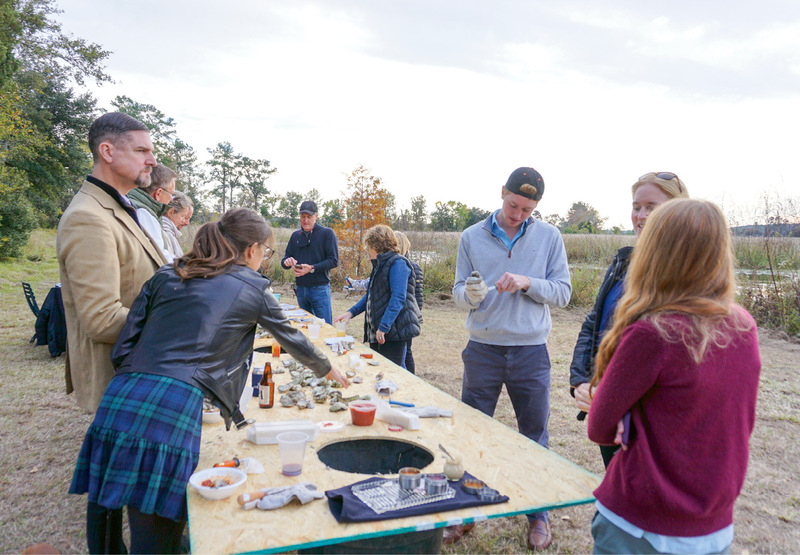 Annual Bull Point Plantation oyster roast in Seabrook, South Carolina.